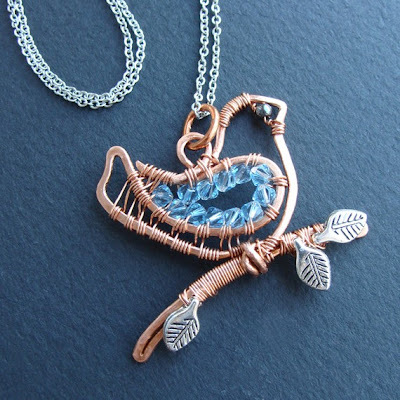 Many of us love wire work so it's an absolute treat when we come across incredibly inspirational wire artisans like Ruth Jensen who is the designer behind Sparkflight on Etsy. 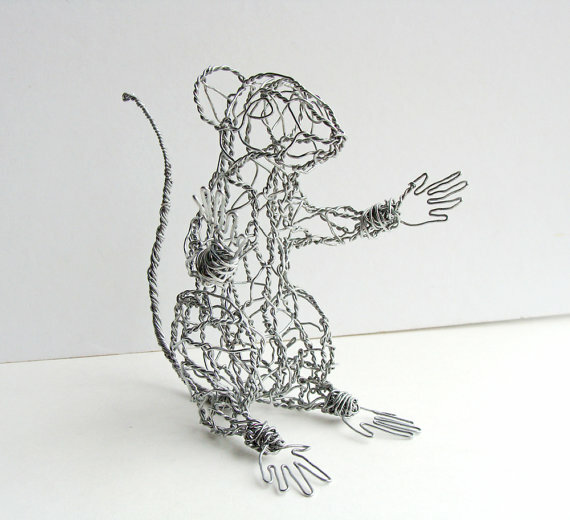 Ruth, who is from Minnesota, is a self taught artist who loves working with wire. She is able to make not only spectacular jewelry designs but also much larger wire sculptures. 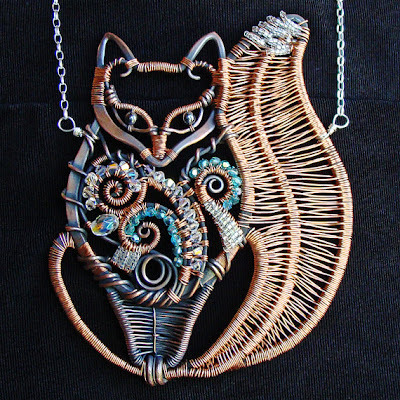 Her ability to craft wire into 3D forms is so astonishing that I just had to include some of my non-jewelry favorites from her extensive portfolio from her studio site as well as her Etsy store. 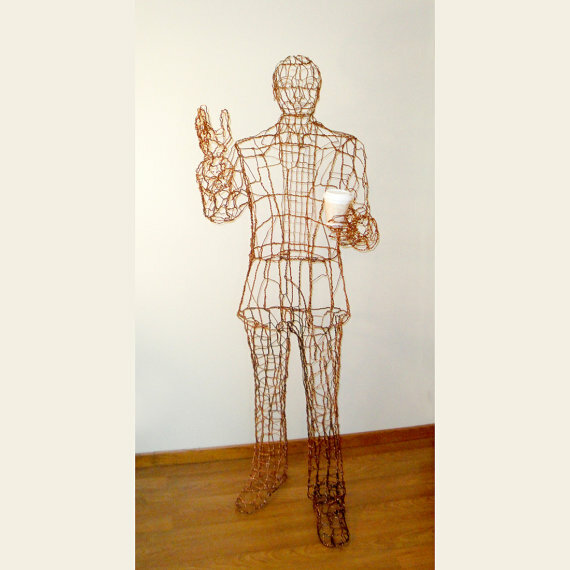 She says, "I make each sculpture one twist at a time, without patterns or molds, using bazillions of pieces of straight wire. I "see" the shape I want, and make the wires come together in that shape, like putting a puzzle together. (I love puzzles.)" Her wire sculptures are worthy of any art gallery and I would not be surprised to see Ruth's work being exhibited somewhere, sometime! Her animal and people installations are just delightful! 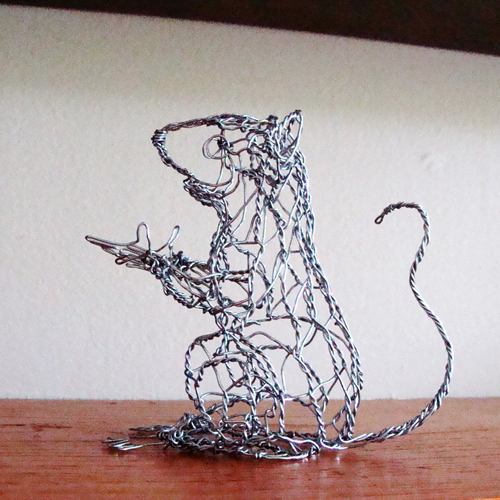 Her mouse sculpture looks like he is trying to explain he was that close to being caught by a cat! Her life size sculpture of a man and his coffee must have taken her a long, long time to make! Ruth guarantees this man of steel copper is low maintenance. Her Great Horned Owl sculpture is 2 feet high! Hat tip to Sarah from Saturday Sequins for this find! Beautiful! So intricate. Love all of these. Yes, they are all so stunning I had a very difficult time trying to pick a selection to showcase her incredible talent! My gosh, this lady is awesome! 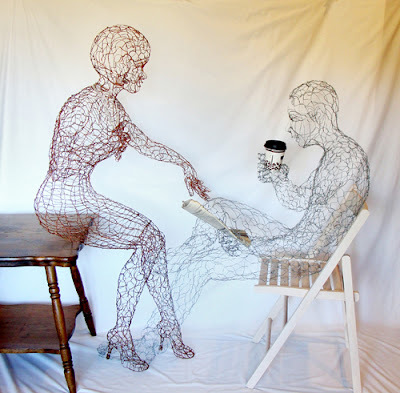 What beautiful, intricate work; I just had to put a comment on this one. 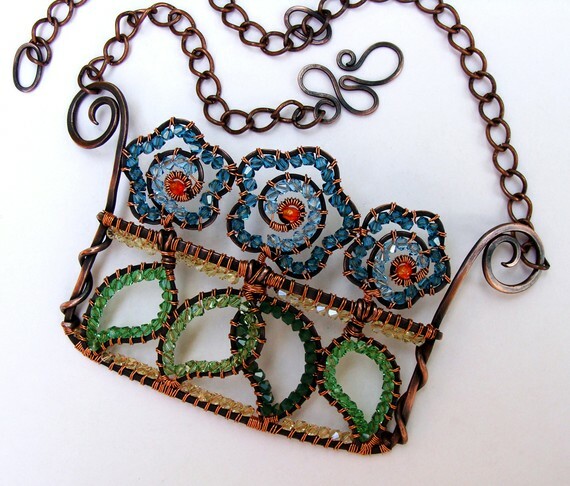 Strangely enough, with all her wonderful pieces, my favourite is the Copper Showstopper. And the mouse. WOW!!! 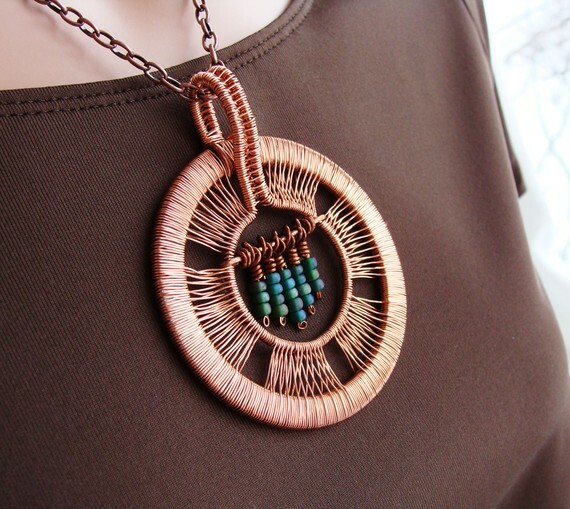 Ruth's work is amazing & beautiful. Thanks Pearl for bringing us her work. OMG!!! wow is all I can say. 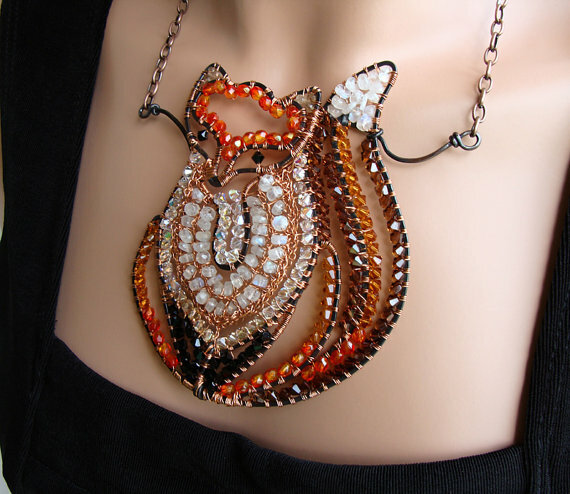 I just spent 20 minutes looking at her Etsy shop. What a talent. Amazing! Beautiful and stunning work. Such intricate designs. It's hard to pick a favorite, their all so beautiful. Omgoodness she is amazing! Such talent. I only dream of doing what she does.